It is with great pride that Visionist Consulting announces the union with Smarter Business Group – one of the UK’s leading independent consultancies. Smarter Business Group are renowned for helping businesses secure the most comprehensive savings solutions, from utilities contract management and procurement to business loans and facilities maintenance. To understand the importance of this next step, it is also important to look back on Visionist and its history. 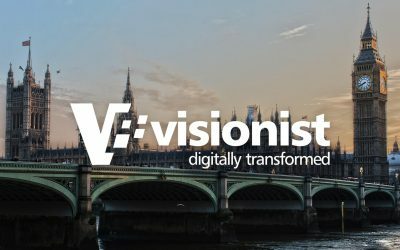 Founded in 2009, Visionist is a technology consultancy company with many years of government delivery experience and extensive practice in delivering digital solutions to large organisations and not-for-profits. Visionist specialities include ServiceOps – IT service management and operations – and DevOps – software development and software operations. This includes SIAM service management, enterprise architecture, security designs and reviews, digital transformation for legacy systems, cloud-based solutions and more. Smarter Business Group began in 2015 with just six staff members, but now boasts almost 250 staff members and is ranked by Cornwall Insights as one of the UK’s leading consultancies. During the course of 2017, Smarter Business Group acquired two distinguished energy firms – BAS Energy & Commercial Utility Brokers – with major plans for growth in the immediate future. 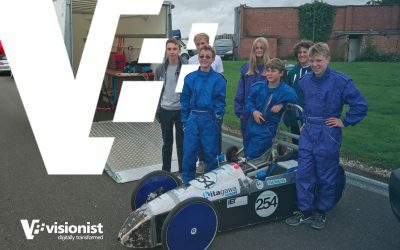 The team’s positive ‘can do’ attitude and commitment to service has earned them a five-star Trustpilot rating and a customer satisfaction rating of 93%. Smarter Business Group is fast becoming the ultimate one-stop shop for a host of utilities and business services. The two companies have a clear synergy, with Smarter Business Group selling energy to businesses and Visionist understanding the energy sector from a policy-making perspective through their services to BEIS. This merger will see a renewed vigour for both companies, assisting each other in their respective goals moving into the future. The merger also represents the commitment of both companies to their clientele and service offerings – banding together to bring the very best to the British market.